Southern charm, Antebellum architecture, and intricate history define downtown Jackson, MS. Known as “The City with Soul,” our charming municipality offers a diverse collection of things to do, see, and experience. With hundreds of shops and restaurants, plus historic sites, area attractions, relaxing spas, wonderful nightlife, and incredible annual events, you’ll discover more than enough ways to make the most of your getaway! Before you explore downtown Jackson, MS, request a copy of our free Vacation Guide! This carefully curated travel planner includes our top choices for how to make the most of your time in Mississippi’s capital. 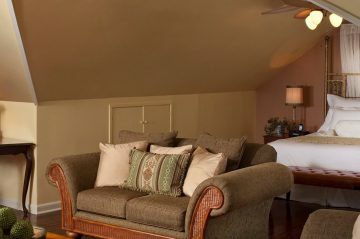 You’ll also find a sample of the luxurious accommodations and indulgent amenities at Fairview Inn. Check out our compiled a list of our recommendations for delightful destinations and unique experiences in downtown Jackson, MS! Every year, our city presents an array of festivals in downtown Jackson, each of which has the backdrop our beautifully restored Antebellum buildings. A sample of the most popular celebrations, each of these extravaganzas is designed to teach you about our traditions and lifestyle! An eclectic collection of unique destinations composes our city’s streets. Here’s a sample of our favorite must-see establishments! Each of these downtown Jackson, MS, attractions showcases a significant piece that shapes the social and educational lives of local Jacksonians. On a sunny day in downtown Jackson, MS, delight in the natural city escapes featuring manicured lawns, intricate sculptures, and quaint benches. Since its establishment in 1821, our city has played a pivotal role in shaping the culture of the Deep South. 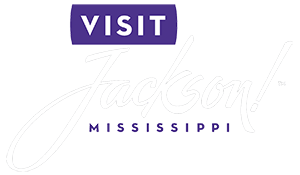 Learn more about Jackson history when you visit one of these museums! Whatever exhibit hall you decide to tour, you’ll see the progress of our city through the years! Do you want to plan the perfect night out? Grab a drink or watch a show at one of our top choices for downtown Jackson, MS, nightlife. Your date night doesn’t have to end when you’ve paid the check. Explore the romantic getaways at Fairview Inn to rekindle the flame with your partner this year! Nothing brings you closer to Southern culture quite like tasting the rich flavors and tantalizing tastes of the excellently seasoned cuisine. Indulge in one of these delightful downtown Jackson, MS, restaurants or seafood dining establishments! Before you reserve your table, come hungry to enjoy these restaurants to the fullest! Treat yourself to something truly incredible when you go shopping in Jackson, MS at one of these places in downtown! Whatever store you decide to shop in the hip Fondren District, you’ll find something to commemorate your Southern vacation! Relax in the serene atmosphere of spas in downtown Jackson. Each of these peaceful destinations offers deep tissue massages, couple’s retreats, and invigorating facials. Once you’ve experienced your premier spa service, float back to your accommodation at Fairview Inn, and relax in one of the divine soaking tubs! Just 2 miles from the central Farish Street Historic District and blocks away from the Greater Belhaven neighborhood, you’ll be close to all the action of our stunning metropolis. One of the most premier downtown Jackson, MS, hotels, Fairview Inn offers the ideal place to stay. We offer a gorgeous selection of 18 accommodations, each of which offers an abundance of natural light, stunning antiques, and luxurious bathrooms. Once you’ve reserved the ideal escape for your getaway, ask us about our Experience Jackson Package! This all-inclusive special offers you a fast pass to the local entertainment, dining, and shopping scene. You’ll also receive a $100 voucher to our 1908 Provisions or the Library Lounge for your culinary experience. With so much to see and do in the heart of Mississippi, why wait any longer to plan your getaway? We look forward to hosting you at Fairview Inn this year!